Disco: A British 2CV? – HubNut – celebrating the average! As I revealed in a recent video, I’m not sure why I like the Discovery so much, I just do. However, that seems a bit feeble, so I’m going to attempt to explain myself. Firstly, I’m no blinkered Land Rover owner who thinks they’re the best vehicles ever produced. They’re not. Build quality was always an issue, a British car really should be much, much better at keeping rain outside and running gear components should last much longer than they actually do. Mine feels its 180,000 miles, whereas a friend’s Shogun has more miles and feels much fresher. I don’t believe in ignoring the car’s faults just because of where it was produced and I deplore tribalism in all its forms. 2CVers love their little tin snails, but you don’t often hear them slagging off Renaults or Peugeots. Indeed, there’s often a lot of respect for the 2CV’s rivals. I love it, but why? The British do love an underdog though, and the Discovery certainly was one. 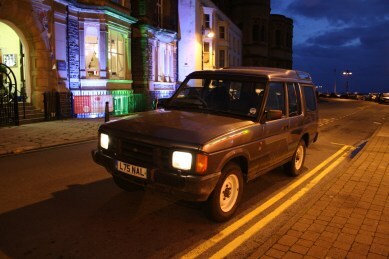 Land Rover had to tackle the new ‘family 4×4’ market head-on, yet lacked the funds to do so after the dark years of British Leyland, and reluctant financing of the British government. Yet somehow, they took the Range Rover and reworked it into a car that proved a huge success. The car marketed as the first ‘new’ model for 19 years was in fact just a Range Rover with a wax jacket and wellies replacing the black tie and evening gown. It was a stroke of genius, using underpinnings that were somehow ahead of their time when the Range Rover was launched in 1970, while also being ancient. I mean, beam axles? Citroen considered those old-hat in the 1930s. Like a Citroen 2CV though, it’s soft, long travel springing that made the Discovery so good. It managed to be comfortable on the road, but displayed exceptional ability away from sealed surfaces too, with Tin Snail-rivalling amounts of suspension travel. I clearly have a thing for long travel suspension, as the Citroen BX, Rover P6 and (surprisingly perhaps) the Triumph TR7 all employ it to a greater or lesser extent. Spen King engineered the P6 and TR7 too. He knew what he was doing, that’s for sure. Another thing I love is permanent four-wheel drive. It’s decried as wasteful by the Japanese, who prefer selectable systems where you generally drive around in two-wheel drive. Yet I don’t see Japanese 4x4s achieving greatly better fuel consumption. I wonder where this alleged saving is? Making four-wheel drive selectable adds many problems, like the need for free-wheeling hubs (allegedly) and the ability to get stuck before you’ve selected all-wheel drive. Generally, there’s no centre differential – though some Mitsubishis do have one. This means that using four-wheel drive on tarmac is a very bad idea as you can damage the transmission. Even on Mitsubishis, you cannot have an open centre differential when in low ratio. This becomes an issue when manouevring with a trailer. I love using low box for this, as it’s far kinder on the clutch. In fact, I did so today when collecting wood. I also crave visibility in a car, and side windows don’t get much larger than a Discovery, this side of a Toyota Sera at least. In a Range Rover, you sit so high up that your head brushes the ceiling but the Discovery has a higher roofline, so you don’t feel that you sit too high. You just get a very good view of the world. The switchgear has a nice feel to it too. I’m a bit fan of those Maestro/Montego stalks. They’re far better than the horrible Honda-inspired stalks fitted to the Rover 200/400 and I reckon better than those fitted to the facelifted Discovery as well. Why? Because in those, you turn the wipers on by twisting the stalk. A small thing, but a bloomin’ infuriating one for me, as you have to remove your hand from the steering wheel. I like a simple, uncluttered dashboard too. The pre-facelift Discovery 1 has that. The facelifted model and Discovery 2 don’t. Above all, I love simplicity. The Discovery is not a complicated design. It’s about as simple as you can get, but it remains very good to drive. Again, the 2CV combines these features. It manages to be hugely simple, but is very well engineered, so it’s far better to drive than it has any right to be. Perhaps that’s it then. 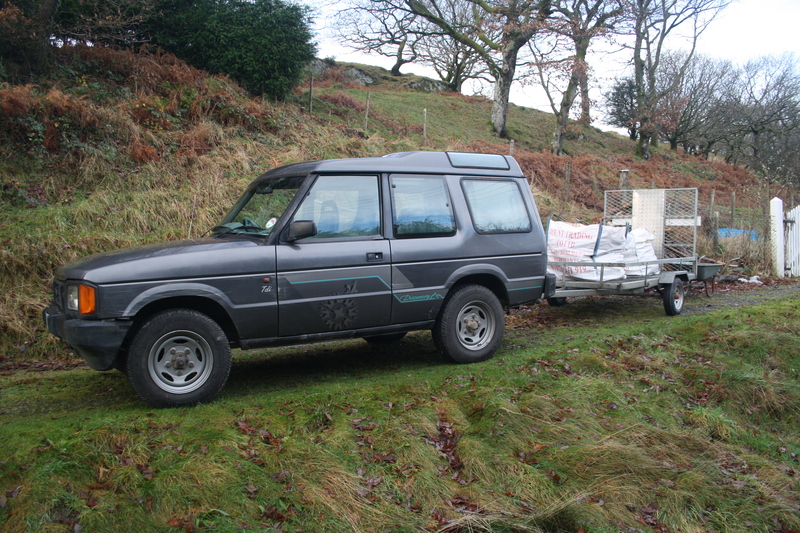 Maybe the reason I love the Discovery so much is because it is actually quite like a 2CV. I’m sure my 2CVing friends won’t agree with that conclusion, but there are direct comparisons to be made. They both have separate chassis with soft, coil-springing to make them good off-road. They both rot horribly. They both regard water ingress as acceptable. They’re both very simple, but clever. They’re both much better to drive than you’d expect. Could the Discovery be the 2CV’s long lost big sister? Ok, I’ll concede. The 2CV is much cuter.